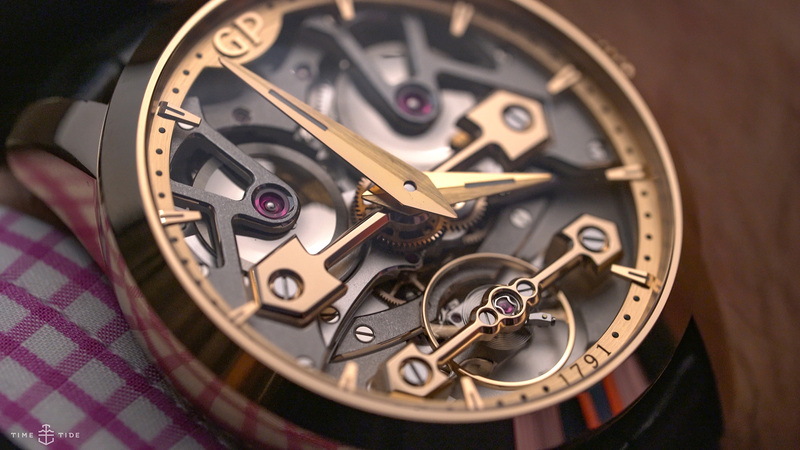 One of Girard-Perregaux’s leitmotifs is the golden bridge. Typically deployed in a trio, the golden bridges — with their broad, arrow-headed shoulders and pleasing, perfectly aligned symmetry — have been holding the brand’s wheels and balances in place since 1860. 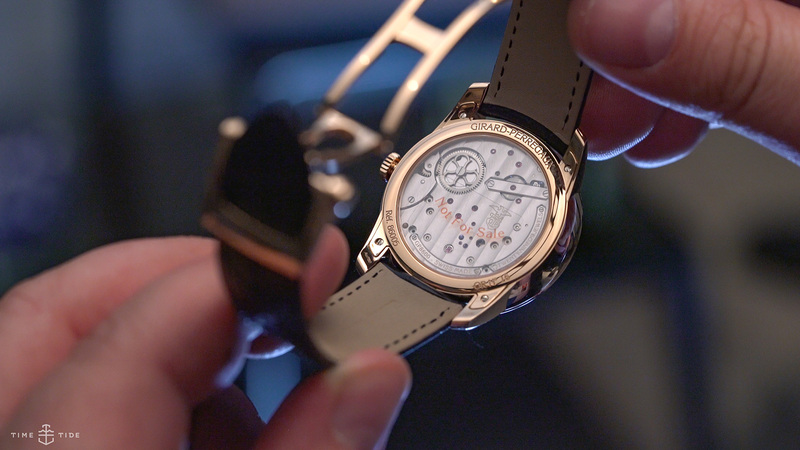 The golden bridges first showed up in a wristwatch in 1981, and these days it serves as a de facto logo. 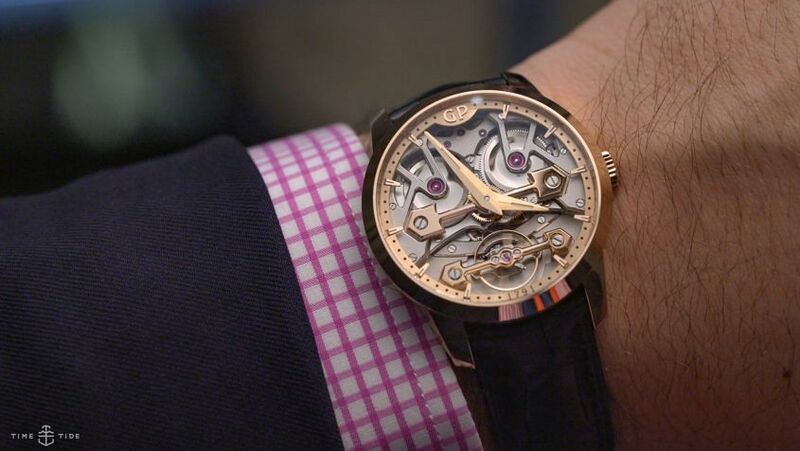 Girard-Perregaux has also been playing with tradition, with their modernist neo-bridges watches and this new, more accessible model, the Classic Bridges, which sees two bridges take pride of place on the dial; the smaller of the two looking after a balance wheel instead of the loftier tourbillon. That’s not to say that the Classic Bridges isn’t an impressive piece — this 40mm version (there’s also a suitably more epic 45mm option) is pure flex, with a large, no-nonsense pink gold case, and exceptionally finished, partially openworked dial. The satin polished steel components provide a nice contrast to those bridges and the broad, brushed hour and minute hands (there’s no seconds hand). The combination of contrast and power is compelling enough, but for me it’s the balance of the in-house movement that takes the Classic Bridges to the next level. The bridges are near mirror images of each other, even down to the placement of the screws and rubies. I find the pairing of the power barrel on the top right and the micro rotor on the top left particularly pleasing. The Classic Bridges is a savvy evolution of Girard-Perregaux’s famous design — classic, contemporary and a little less rarefied … all at once. Girard-Perregaux Classic Bridges 40mm in pink gold, $46,650; 45mm in pink gold, $51,950.